Brandon Woods – Maintenance Free Living in the Heart of Williamsburg! Are you seeking a quiet, maintenance free lifestyle in Williamsburg? 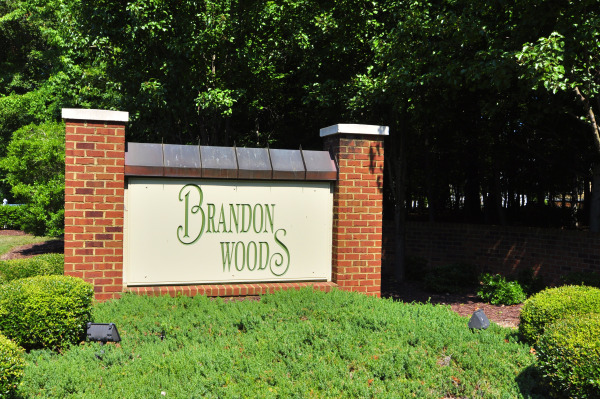 Brandon Woods is a one-of-a-kind community of 110 free-standing homes in the heart of Williamsburg, conveniently located to the Monticello shopping district as well as Colonial Williamsburg and the College of William & Mary. The community is situated on 50 acres, with a 75’ buffered green space to adjacent communities of Graylin Woods, Baron Woods, and The Foxes. It is literally a hop and a skip to everything you might need: grocery shopping, gas, banking, dining, etc. Many residents are locals who were attracted to the no maintenance concept. Square footage ranges from 2300 to 2700, with beautifully appointed features such as hardwood floors, 9’ ceilings on the first floor, extensive crown molding and chair railing, masonry fireplaces, and a security system. One of the things that makes Brandon Woods unique is its ownership. Each residence is a free-standing condominium, which offers residents the privacy of a single family lifestyle, coupled with the peace of mind that comes with limited exterior maintenance. Ownership is fee simple, and each owner owns from lot line to lot line, and additionally residents share a common interest in the community – a board of residents oversees the look and appearance of the neighborhood. Imagine…all your yard work and exterior painting completed for you! In addition to not having to work in the yard any more, and being able to “put the key in the door” and go whenever you like with no worries, Brandon Woods also enjoys a consistent, beautifully landscaped look as a result of the community oversight. Brandon Woods features 4 different floor plans, 3 of which have master bedrooms on the first floor. Brandon Woods Garden Club meets monthly at local restaurants in town, except in the summer, and enjoys tours or speakers as programs; the purpose of the club is to beautify Brandon Woods and foster a sense of community among homeowners. Brandon Woods Wine and Dine program hosts monthly events except in the summer, and has options to dine in or dine out, based on your preference. Great opportunity to mix and mingle with neighbors and enjoy new foods. Brandon Woods Men’s Golf League connects monthly to play a different course. Brandon Woods Men’s Lunch Bunch meets monthly at a local restaurant to meet, eat, and chat. It’s no wonder that this singular neighborhood is one of the most popular in Williamsburg for those seeking a low-maintenance lifestyle coupled with great neighbors and a great location! Visit www.brandonwoods.org for more infomation. Sign up for our Brandon Woods “Get the Scoop” and we’ll send you e-mail alerts when new listings in Brandon Woods hit the market, so you can review price, address, photos, and listing details, and much more!